A UFO on Mars was reportedly detected in an image provided by NASA online. The image was taken by the Mars Exploration Opportunity Rover Microscopic Imager and posted on the official website for the National Aeronautics and Space Administration (NASA). It appears to show a disc or flying saucer hovering just above the surface of the Red Planet. 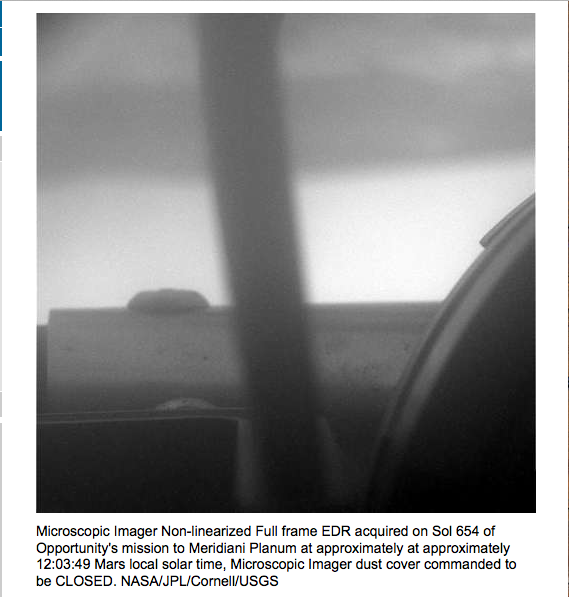 The caption says: "Microscopic Imager Non-linearized Full frame EDR acquired on Sol 654 of Opportunity's mission to Meridiani Planum at approximately at approximately 12:03:49 Mars local solar time, Microscopic Imager dust cover commanded to be CLOSED. 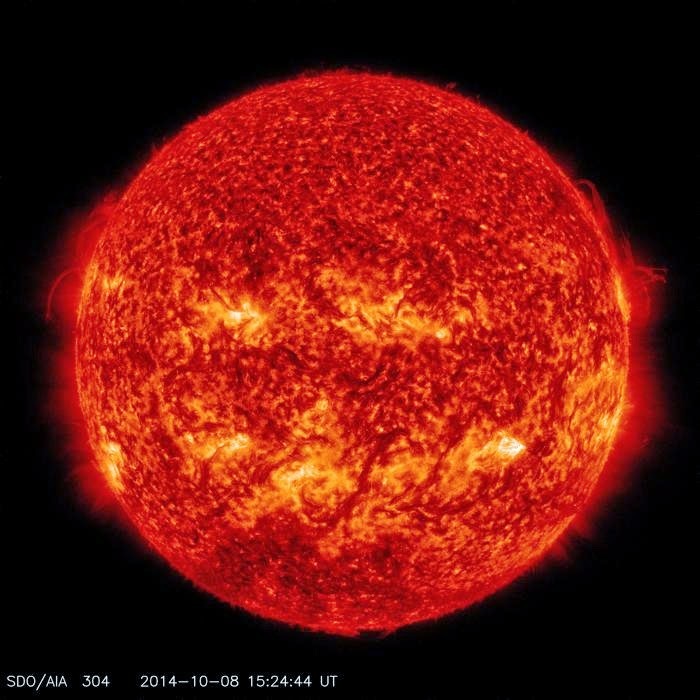 NASA/JPL/Cornell/USGS." WTF! It should say, Run For Your Life, they're really here!!! David Wilcock who does the show Wisdom Teaching on Gaiam TV and he says some governments are going to soon disclose that we have been visited by Aliens for years and they are our friends. With all the sightings lately I have to believe him. A UFO photo-bombed astronauts making repairs to the International Space Station (ISS) earlier this month - setting off a wild frenzy of speculation online. 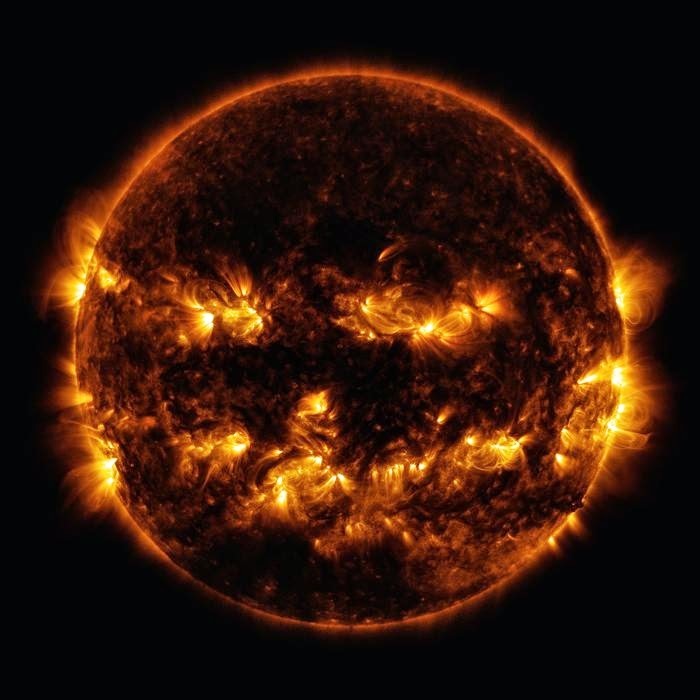 The spooky incident happened on October 7, when Flight Engineers Reid Wiseman of Nasa and Alexander Gerst of the European Space Agency conducted a spacewalk outside the International Space Station to fix an electrical problem. According to the Examiner one possible explanation for the UFO is that it could be one of two resupply craft that visited the ISS. The Space X Dragon ship arrived at the ISS on September 23 and that space ship was followed up two days later by a Soyuz TMA 14M craft that brought three new crew members. However, both the craft are currently docked with the ISS and the UFO in the video appears not to be attached to the ISS. A more likely explanation than a craft piloted by beings from another planet observing human astronauts is that light could have easily bounced off the ISS and refracted onto the camera. But then, observers have pointed out that there doesn't seem to be a strong source of light near to the astronauts when the UFO is seen. 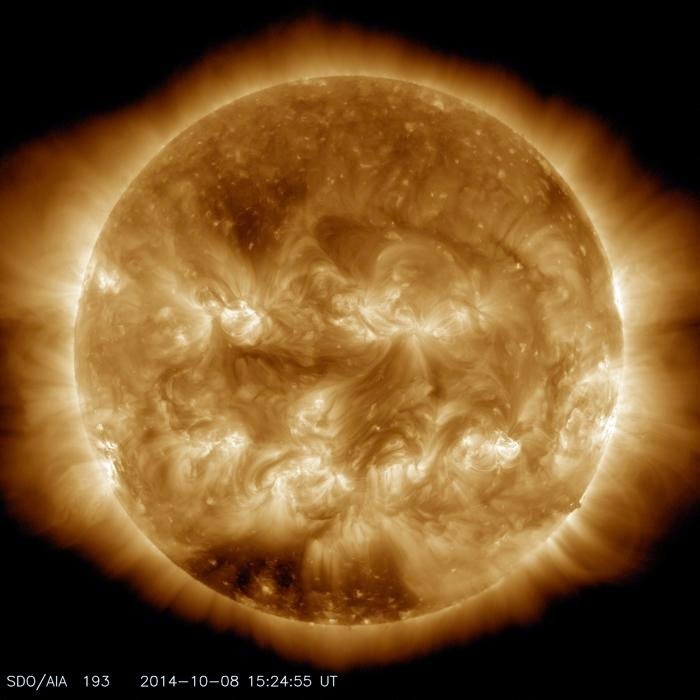 This may rule out lens-flare and keeps the object confirmed as a genuine UFO.